Hot rollers are getting popular again. This is because it is so much easier to use, and your curls will last a lot longer. However, if you never have used hot rollers before, you might be wondering if this is something that you can use and if you are going to get the right result with the rollers. The more you know about these rollers, the easier it will be to choose the right one and to use it correctly. It will ensure that you are going to get the best result. No matter if you have short hair or long hair. With this information and guide, you will know everything there is to know about hot rollers. From purchasing the right one, to use it correctly on all hair types. The first thing that you need to know about hot rollers, is that you should purchase the right one. There are a huge variety of hot rollers that you can purchase. But, purchasing the right one can be tough. You don’t want to waste time and money in purchasing the wrong rollers. These are the things that you should look at when you are purchasing your first hot rollers. The features that the rollers have to offer. You want to make sure that they are getting hot enough, but not so hot that it can damage your hair. The quality of the rollers is important. You want to know that you can use the hot rollers every day, and it will last for a couple of years. The price. You don’t want to purchase the cheapest hot rollers, but you also don’t need to purchase the most expensive ones. The type of roller that you want. There are three different ones that you can choose from: The ceramic rollers, the wax rollers, and the sponge rollers. You should choose the one that is going to be best for your hair. If you think that you can’t use hot rollers on short hair, then you should think again. This is the great thing about these rollers. Even, if you have short hair, you can still use it to get curls or just to get some volume in your hair. The only thing is that you should know the secret in how to use hot rollers on short hair. The first thing that you should make sure about, is the type of hot rollers that you have. Some hot rollers are not made for short hair. This is why having the right rollers are so important. These are some of the other things that you should do, to use your rollers on short hair. Prepare your hair correctly. It has the same preparation as for long hair. The only difference is that you might want to use more heat styling products. The shorter your hair, the easier it can get damaged with the heat. Make sure that the roll is rolled tightly. If the roll isn’t rolled tightly, it is going to fall out of your hair. The shorter the hair, the more tightly it should be. Divide your hair correctly, and use a small amount of hair at a time. Too think curls with short hair isn’t going to work. Let the rollers cool down completely before you start taking it out. The longer it is left in your hair, the better the hair will look. And, the longer it will last. It is important to spray your hair after you taken the rollers out of your hair. Make sure that this is a quality hairspray that will last throughout the day. Many women are making use of hot rollers to give some volume to their hair. Especially those women who have fine hair. If you aren’t using the rollers correctly for volume, you are going to end up with curly hair. And, this might not what you were going for. Using styling products that are enhancing volume is recommended here. Yes, you still need to make use of heat styling products. Again, the type of hot rollers that you have is essential. For volume, you should use the largest rollers that you have. If you have a quality roller set, you will have different size rollers. The larger the rollers, the better the volume will be. Divide your hair into sections and roll the rollers to the base of your head. The tighter the roll, the better the volume is going to be. Using styling products that are high quality, will let your volume last throughout the day. Using a high-quality hairspray is also essential. When the rollers are cold, you remove the curls, use hairspray and lift your hair from the roots. It is going to double the volume of your natural hair. You don’t have short hair, but you also don’t have long, flowing hair. How do you use your hot rollers then? It really depends on the result that you want to see. If you want to get volume in your hair, you are still using the same method as for how to use rollers for getting volume. You should use the largest rollers that will fit properly on your head. If you want curls, you should use the smaller rolls and will need to divide your hair into smaller pieces. The smaller the rollers, the curlier your hair is going to look. So, if you just want wavy hair, you should use your rollers that are the second size. The preparation before using the hot rollers are the same as any other type of hair. By using quality styling products that are heat protected. This is the one that most people want to know. How to use hot rollers on curly hair. You already have curly hair, but you want to ensure that the curls are larger and more manageable. Is this really possible to even use hot rollers on curly hair? This is possible if you are purchasing the right type of hot rollers, and you know how to use the rollers so that it doesn’t get stuck in your natural curls. 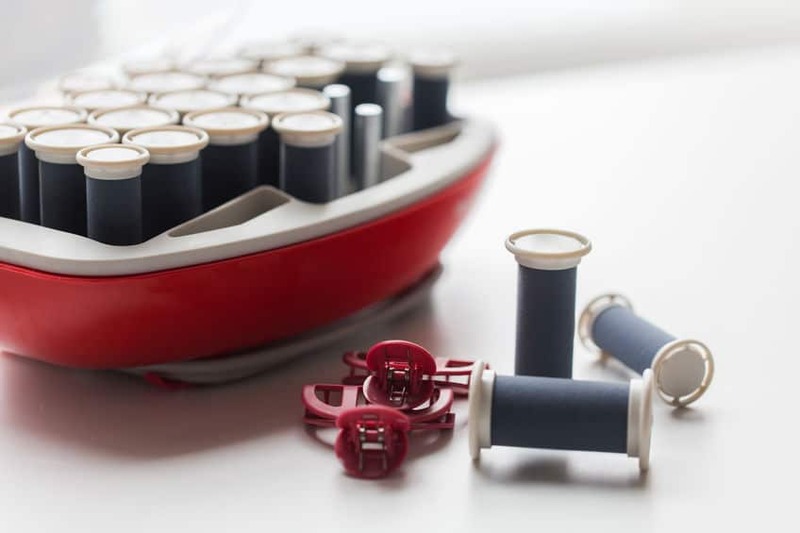 The felt type hot rollers are the best rollers that you can consider using. Here is the secret. You should spray your hair with an anti-humidifier hairspray first before you start rolling your hair with the rollers. This will ensure that your hair won’t get stuck in your hair. Other tips for using rollers in curly hair. You want to make use of larger hot rollers. The smaller the roller, the harder it is going to be to get the right effect that you want to create. And, it is going to be harder to roll the curly hair into a roller. You should still use the best styling products for heat styled curly hair. Finish the look off, with spraying hairspray lightly to the curls. The longer your hair is, the easier it will be to use the hot rollers on curly hair. The more you are practicing using the hot rollers, the easier it will become to roll your hair without getting creases. The most important thing is to roll the roller evenly. Don’t let one part of the roller is taking more hair than the other side. You should also make sure that the hair that you are rolling, is smooth and clean. Spray hairspray before you roll your hair if needed to keep it creases-free. The more hair you are taking at a time is also going to have an effect on how easily you can avoid getting creases. Take your time. If you are in a hurry, and you are using your hot rollers, you are going to get creases in your hair. This is why it is recommended that you are only curling your hair if you have the time for rolling it correctly. 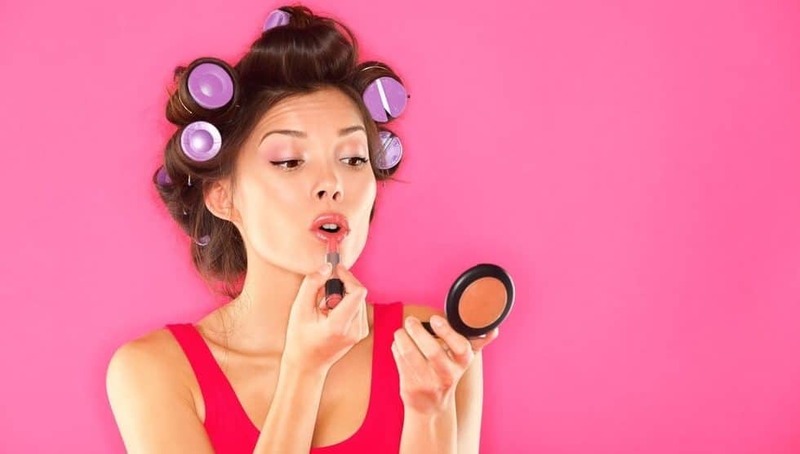 One thing that you should know, is that if you like the messy look, then getting creases while you are rolling your hair, might be a great idea. When you are rolling your hair correctly, the chances of hair falling out of the curl or getting creases are really very slim. This is why experience and practice are so important in creating the right look, without getting creases. You are doing all the hard work to create the best-looking curls with using hot rollers. But even before you leave the house, the curls are already starting to fade. Why? You have spent so many times on your hair, just to lose the curls in about 5 minutes. 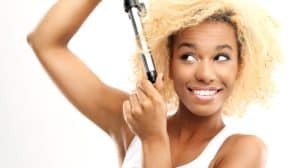 The things are that there are a couple of secrets that you should know about how to ensure that your curls last after you have used the hot rollers. This can’t be said enough. The right styling products. This is the difference between having curly hair for the rest of the day, and curly hair that lasts only an hour or two. The other thing is that if your hair is heavy, it will lose the curl a lot faster as well. When this is happening, you should consider layering your hair, if you want to have curly hair on a more regular basis. The moment that your hair is not as heavy anymore, it will hold the curl in, much longer. The last thing that will depend on your hair keeping its curl, is the type of hot rollers that you are using. Some heat rollers are just working much better than other rollers. Leaving the curl to last a lot longer. Besides all the already mentioned tips about using hot rollers, there are another couple of tips that you should know. The cleaner your hair, the easier it will curl, but the curls might not last. This is why it is recommended that you are washing your hair in the evening, and curl it in the morning. Then, the hair isn’t as soft and clean anymore. Your shampoo and conditioner are just as important as your styling products. This is one of the biggest mistakes that women are making when they want to have curly hair for a much longer time. Using the same brand shampoo and conditioner as the rest of your styling products is the best. Then, you won’t have a problem that the shampoo isn’t as great as the styling products. Even if you are in a hurry. You should let the rollers cooled down completely before removing it. It isn’t the heat that is setting the curls. It is the way it is going to cool down. This is why the hot rollers are working. Because your hair is going to cool down in the curling position. Don’t touch your hair during the day. Every time that you are touching your hair, you are going to let your natural skin oil, loosen the curl. It’s why you will see that those people that are touching one part of their hair, is always without the perfect curl. The rest of the hair is fine, but not the strand that you keep touching. Hot rollers. Still, something that people are using today. The only difference is that with the improved technology, you are able to purchase different hot rollers. And, it is easier to use than years ago. With all these information and tips, you will know for sure that your hair is going to have its curl or volume for the rest of the day. Without having to worry about your hair falling flat on your head again. Just remember that by purchasing the more expensive rollers, you are going to have the best result at the end of the day.